You might be back in the classroom already, or gearing up to be soon. I return to school just after Labor Day. 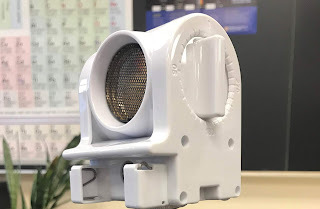 This year I'll be teaching Grade 11 Physics, Grade 12 Physics and Grade 9 General Science (with units of Astronomy, Electricity, Chemistry and Ecology). 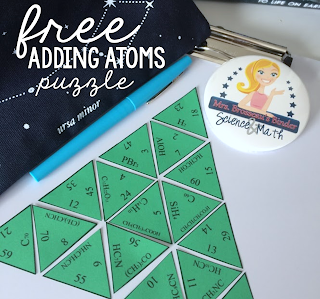 To help get you ready for back to school, I've teamed up with my friends who are also Science Sellers on TpT. We have A LOT to give away, including $100 gift cards to TpT. In order to win a TpT gift card, you'll need to visit each one of our blogs and piece together the secret message. My secret word is 4. "country". I am also giving away 3 of my Astronomy Doodle Note Bundles. 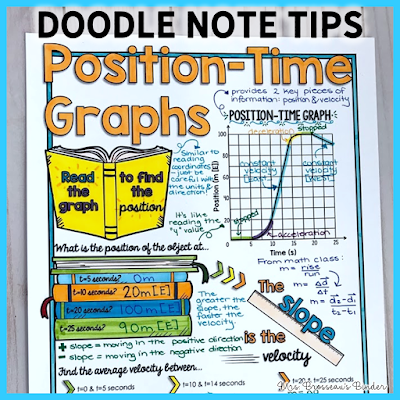 Student learning has been way, way up since using Doodle Notes in my classroom, and I wanted to share them with you! They are an easy, no-prep way to keep your kids excited, learning and engaged. 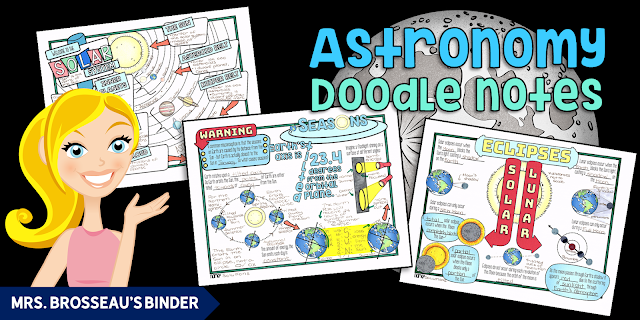 Click here, or on the image to enter to win the Astronomy Doodle Notes Bundle! Give away runs until August 17, 2018. Winners will be notified via email. As Google Slides became most robust in its ability to compete with PowerPoint, the add-on Pear Deck sealed the deal for me. I am convert! All hail Pear Deck! 1) have students follow along with the presentation on their own devices (it's web-based so it works on both smart phones, Chromebooks and laptops). 2) have students answer questions throughout the lesson. In order to ask a question to the class, it is as easy an adding a new slide and typing your question. Pear Deck allows you to ask multiple choice, text or number questions. You can even use the add-on to send students to a website of your choice to research something during the lesson. There are a couple of premium types of questions (draw and draggables) that require a paid membership. When I create the presentation, I think of what I would normally ask throughout that lesson and add those questions as Pear Deck slides. I love that students are able to answer by drawing a picture. 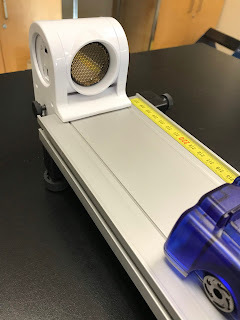 This was incredible when we reviewed position-time and velocity-time graphs. I could even see their responses in real time, and so can the rest of the class. It was very effective to display the answers and discuss any inaccuracies we saw - all without identifying the student. I asked my students (as a Pear Deck question, of course) whether they liked this presentation software. It was an overwhelmingly positive response. If you already use Google Slides, it will be very quick to add Pear Deck questions to your presentation. If you are a PowerPoint convert, like me, there is an option to export your PowerPoint slides into Google Slides, but it's not 100% perfect if you have interactive pieces (like animations or transitions). All in all, here is an innovative technology that will help increase student engagement and improve student learning. In my previous posts about this topic, I asked the question "should Math and Science be taught together?" and presented my Experimental Design for how this might look. This is just some of the preliminary work anticipated with this type of interdisciplinary model of teaching Math and Science. Designing units that connect the courses in a logical manner, as well as designing holistic assessments that are comparable to those in the individual Math and Science courses would be a next step. I would be really excited to try this! The Math department at my school had made huge gains and this plan was not enacted. Another avenue I would be curious to explore is teaching a combined Grade 12 University Physics course with the Advanced Functions and the Calculus and Vectors course. There are many commonalities between these courses. I have found many students from my Physics course tell me that their vector work is simple because they have so much experience with vectors in my class. The time savings could be used to delve deeper into concepts, spend more time on difficult concepts and apply these to real-life scenarios. What do you think of this model? Do you think students would benefit from Math and Science being taught together? 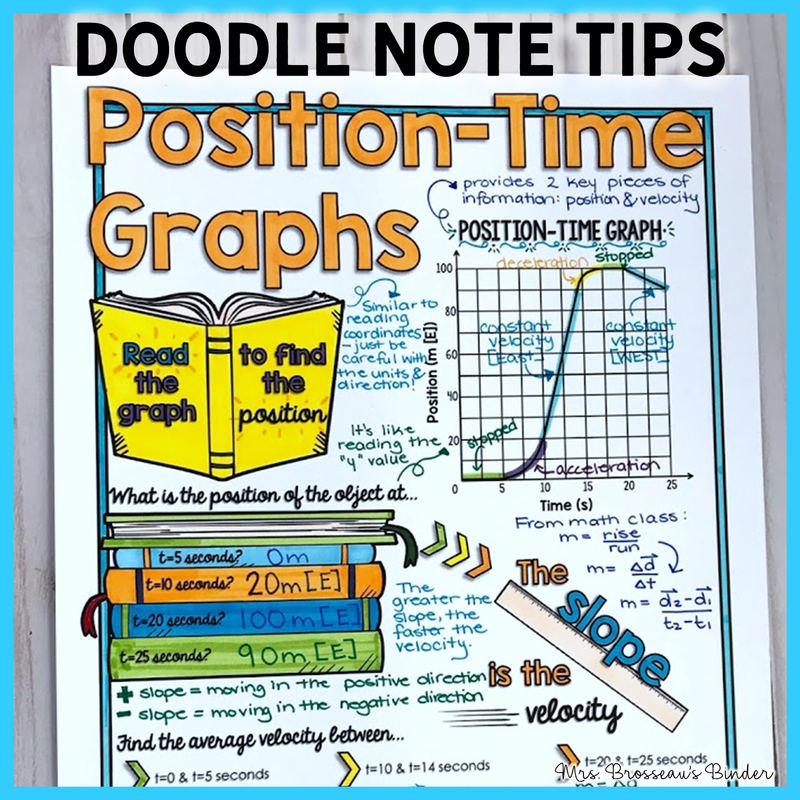 In my last post, I shared how I create Doodle Notes for my Science classes, including some technical and design tips. It's such a heartwarming feeling to know that my Doodle Notes have been used with thousands of students. I have been prioritizing my time to create Doodle Notes for the subjects and topics that I love. For me it started with the Law of Conservation of Energy and Forces, then an entire unit of Doodle Notes on Nuclear Energy - one of absolute favourite topics! This led to an entire unit on Astronomy - my other top love, and Climate Change, which I find is crucial that our students have a sound understanding of. Over the past year I've been also utilizing a whole bunch of Physics Doodle Notes with my senior students. They love that they can be creative in class, and I love that I get their attention. Doodle Notes have really enhanced my teaching from back in my early days. Here are some tips and tricks I have learned through using A LOT of Doodle Notes in my classes. I begin each new semester with Cognitive Advantages to Doodling. I use Math Giraffe's "Engage Your Brain" Doodle Notes on the first day of each class. This sets the tone for my class and how I teach. I am able to convey to the students that I care about how they learn, I want them to be engaged in my lessons and that this class will offer them a new way of thinking. I also explain to them that these are not coloring pages, they're actually advanced, brain-based learning materials. In the back of my classroom I have a big sign that reads: NUCLEAR WASTE. Under that sign I have seven containers of colored pencils and markers (I prefer Crayola's Pipsqueaks). My instructions are, "grab some colors underneath the nuclear waste for you and your group." The students may not use the Doodle Notes to their full advantage if they are disadvantaged. Some students may not think you can use color in your high school notes. I make sure to have some different tools they can use to utilize the creative side of their brains while learning Science. I have read that some teachers leave the Doodle Notes for independent work, and if that works for you, great. For me, I love the interaction and I love the opportunity to be creative too! My preference is to always do the Doodle Notes with the students and explicitly state why I chose certain images. "Since you read the graph to find the position, I chose a book to represent that. Let's practice reading the graph to find the position at different times, and we'll write down our answers on this stack of books." This also helps me to set the pace of the note, and stop it to include an anecdote or video where needed. When I am introducing a topic, I will rarely start with the note. Usually some sort of phenomenon, or experiment or video is used to pique the students' interest and the note follows. Even doodling might get boring if that's the only creative aspect to the class.